Buying a used vehicle can save you a lot of money, especially in comparison to buying a new vehicle. You may be after a cheap little run around or something with a little more horse-power. Either way there’s a huge amount of choice on the UK Second hand car market. Something worth taking note of is, you can’t just jump into buying a used car without carrying out the relevant checks first. If you don’t take your time and make these checks, it could end up costing you a fortune further down the line and the dream could turn into a nightmare very fast. There are several choices when buying a used car, the pro’s and con’s really do vary depending on how you decide to proceed. Therefore, we have written this guide to help you make a more informed decision. You have more rights than if you buy from other sources e.g. private. Some dealerships include warranties and service plans for vehicles they sell. Most dealerships offer part exchange (this is a pro and a con in one as the price tends to be less than private sale of your old vehicle but on the other hand it’s an easy way to get rid of your old car if you don’t want any fuss). 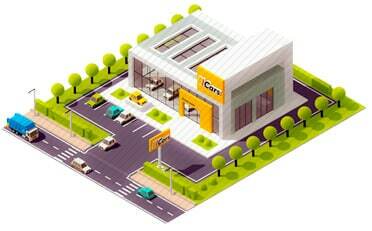 Most dealerships accept credit cards, which is generally a safer way to buy a vehicle. Most dealerships offer finance deals. Most dealerships will budge on price. The price tends to be more extensive than buying from auction, private or on the internet. Salesmen at a used car dealership are very good at dealing with price negotiation, so it’s harder to get the price down unless you do your research first. Any service plans and warranties will probably be subject to a signed contact. Buying a used vehicle from a private seller can be a riskier approach, especially if you don’t take the proper precautions. Further to this consumer to consumer protection isn’t as great as business to consumer protection. The vehicle price is almost always cheaper than buying from a dealer or dealership. It’s usually easier to negotiating the price with a private seller than a dealership or salesman. 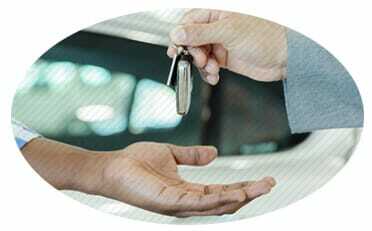 You will meet the current owner of the vehicle (who you should ID validate before buying the vehicle – Find out more about this on the used car buyer checks page). There won’t be any warranties and a lot of sellers make this clear by adverting the vehicle with the words “sold as seen”. You will have to arrange any finance or loans to purchase the vehicle yourself. You can’t part exchange an old vehicle. You cannot make payment via credit card and even if you could, you won’t get as many consumer rights, this is because another consumer is selling the vehicle and not a business. Online car buying is becoming a more and more popular thing, with websites such as auto trader and eBay making it easy to find a bargain vehicle. 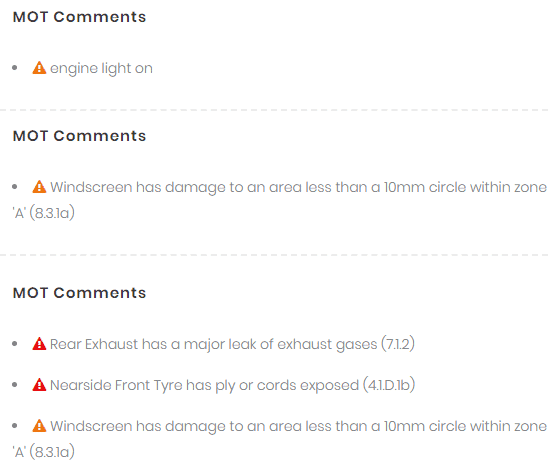 It’s worth noting that, if you are serious about a car you have seen online, you should go and see it plus carry out the proper checks before purchasing it. Not seeing, checking and/or test driving the vehicle before purchasing it can be a big mistake. Buying a used vehicle with cash is not the best idea, in fact it’s a risky one. The best method of payment when purchasing a used car or vehicle is credit card. This is mainly because of the extra protection credit cards offer consumers when purchasing under section 75. For more information you should read this article. The older the vehicle is, the more likely it will need more repairs. Even an older vehicle with low mileage is still prone to more rust and mechanical problems. A vehicle with high mileage can mean thousands of pounds lost in the sale, this is usually because a vehicle with higher mileage has more wear and tear. And of course, will cost you more money as there will be more repairs. If you find a used vehicle with low mileage, then be sure to get a vehicle data check either from us or one of our competitors to ensure that it doesn’t have any mileage discrepancies. Carpets, Floor, Roof, Front and back of seats, Dashboard, Sun visors, Glove box, Boot and anything else you can think of. It’s also a good idea to check for any dashboard warning lights. Even if the vehicle has a full or part service history you should still check the engine oil, as running as vehicle without enough engine oil can cause mechanical problems and further expense. Check the radio, lights, windows (if there electric), indicators, internal lights and any other electrical components to make sure they work. When checking the exterior body-work of a vehicle, it’s a good idea to start at one point of the vehicle and end at the same point. For example, start at the driver’s side mirror and work your way around until you reach the drivers side mirror again. Be sure to check the condition of the vehicle and that it looks average or above for the age of the vehicle. If you notice any nasty dents and/or bumps this should reflect on the price of the vehicle. Make sure you run a data check, either on our website (by entering the reg below) or another vehicle data checking website. You need to know the vehicle isn’t reported as stolen, on finance, clocked, previously written off and more. Also check the engine number, VIN number and V5C logbook date matches your data check. If it doesn’t then walk away and don’t buy the vehicle. We offer a guide here (that shows you where the VIN and engine number is located on a vehicle). Enter the registration below to get your free report, if you are serious about a vehicle it’s worth checking it. Working out what a vehicle will cost you in advance is a smart move, not working out the running costs of a vehicle can mean your in for a shock. Here’s some important costs you should factor into your budget. Whether you have paid a deposit or the whole chunk for the vehicle it’s something you should account for. Whether your car is petrol, diesel or electric you should calculate the running costs based on your average annual mileage and cost per mile. The cost of 6/12 month vehicle tax should be accounted for especially if you are on a budget. You can find out more about road tax costs by checking out our previous blog post here (https://www.rapidcarcheck.co.uk/check-car-tax-mot-due/). Get a quote for insurance on a comparison website or direct, getting a quote before purchasing the vehicle will show you how much it’s going to cost you over the year to insure the vehicle. As a rule of thumb newer cars with lower miles don’t usually have as many problems when going through a MOT test, but if your looking at an older vehicle with higher mileage you should prepare yourself for possible MOT failures. Our free check offers the last 3 MOT records of a vehicle for free, so enter the vehicles registration below to see any previous MOT advisories and failures. Working out the cost of vehicle servicing can be a good idea. This will also depend on where you plan on taking your vehicle for a service. For example, taking your vehicle for a service at a local garage usually cost less than the official dealership. You can check this by going to www.reliabilityindex.com and entering the vehicles make and model. Getting a vehicle with a higher reliability should mean less repairs and costs further down the line (this will also depend on how the vehicle has been used previously to you purchasing it). Found the right vehicle? Check it’s legitimate. Criminals are getting smarter in the way they are cloning stolen vehicles and selling them on under a false identity. Please don’t fall into the trap of not checking the vehicles identity as it means you could lose the vehicle you purchased. Feel free to make a comment or contact us with any suggestions or additions you may have about this blog post.